He played "the dummy" of the group, which starred in an NBC sitcom and briefly outsold the Beatles. His death was confirmed by his sister Anne Thorkelson, who did not say where or how he died. Tork was diagnosed with adenoid cystic carcinoma, a rare cancer affecting his tongue, in 2009. If the Monkees were a manufactured version of the Beatles, a “prefab four” who auditioned for a rock ‘n’ roll sitcom and were selected more for their long-haired good looks than their musical abilities, Tork was the group’s Ringo, its lovably goofy supporting player. The band featured Tork alongside Michael Nesmith, a singer-songwriter who played guitar, and former child actors Micky Dolenz and Davy Jones, who played the drums and sang lead, respectively. Like their British counterparts, the group had a fondness for mischief, resulting in high jinks involving a magical necklace, a monkey’s paw, high-seas pirates and Texas outlaws. 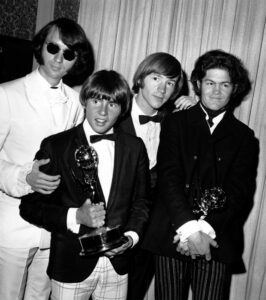 “The Monkees” ran for only two seasons but won an Emmy Award for outstanding comedy and spawned a frenzy of merchandising, record sales and world tours that became known as Monkeemania. In 1967, according to one report in The Washington Post, the Monkees sold 35 million albums – “twice as many as the Beatles and Rolling Stones combined” – on the strength of songs such as “Daydream Believer,” “I’m a Believer” and “Last Train to Clarksville,” which all rose to No. 1 on the Billboard record chart. Detractors pointed to the fact that the band, at least initially, existed only in name. While the Monkees appeared on the cover of their debut album and were shown performing on TV, their instruments were actually unplugged. The songs were mostly done by session musicians – much to the shock of Tork, who recalled walking into the recording studio in 1966 to help with the group’s self-titled debut. After the release of the band’s second album, “More of the Monkees” (1967), Tork and his bandmates wrested control of the recording process and wrote and performed most of the songs on records including “Headquarters” (1967) and “Pisces, Aquarius, Capricorn & Jones Ltd.” (1967). They also started touring, playing to sold-out stadium crowds and backed by opening acts that briefly included guitarist Jimi Hendrix. But as Tork’s musical ambitions grew, leading him to envision the Monkees as a genuinely great group of rockers, he began to clash with bandmates who saw the Monkees as more of a novelty act. For much of the 1970s, Tork struggled to find his own way. He formed an unsuccessful band called Release, was imprisoned for several months in 1972 after being caught with “$3 worth of hashish in my pocket,” and worked as a high school teacher and “singing waiter” as his Monkees wealth dried up. He also said he struggled with alcohol addiction – “I was awful when I was drinking, snarling at people,” he told the Daily Mail – before quitting alcohol in the early 1980s. By then, television reruns and album reissues had fueled a resurgence of interest in the Monkees, and Tork had come around to what he described as the essential nature of the music group, which he joined for major reunion tours about once each decade, beginning in the mid-’80s, in addition to performing as a solo artist. He was born Peter Halsten Thorkelson in Washington, D.C., on Feb. 13, 1942. His mother was a homemaker, and his father – an Army officer who served in the military government in Berlin after World War II – was an economics professor who joined the University of Connecticut in 1950, leading the family to settle in the town of Mansfield. Both parents collected folk records and bought him a guitar and banjo when he was a boy. Peter went on to take piano lessons and studied French horn at Carleton College in Northfield, Minnesota, where he reportedly flunked out twice before settling in New York City. At coffee shops and makeshift folk music venues, he performed with the shortened last name Tork, which had been emblazoned on one of his father’s hand-me-down sweatshirts, according to the Los Angeles Times. 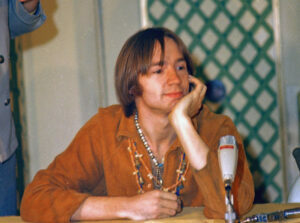 When Stills didn’t get the part – purportedly on account of his bad teeth – he suggested that Tork audition. “I went, ‘Yeah, sure, thanks for the call,’ and hung up,” Tork later told the Los Angeles Times. “Then he called me a few days later,” finally persuading Tork to try out. He later appeared in episodes of television shows such as “Boy Meets World,” playing the love interest Topanga’s guitar-strumming father, and in recent years performed with a band called Shoe Suede Blues. Tork also released a well-received 1994 solo album, “Stranger Things Have Happened,” and partnered with folk singer James Lee Stanley for several records. Tork’s marriages to Jody Babb, Reine Stewart and Barbara Iannoli ended in divorce. Survivors include his wife, Pamela Grapes; a daughter, Hallie, from his second marriage; a son, Ivan, from his third marriage; a daughter, Erica, from a relationship with Tammy Sustek; a brother; and a sister. Many of the Monkees reunion tours were conducted without Nesmith, who inherited a fortune from his mother, the inventor of Liquid Paper, and largely dropped out of public view after the band first split up. Nesmith returned to performances after the death of Jones, the Monkees’ singer, in 2012, which helped spur a 50th anniversary reunion tour and album, “Good Times!,” four years later. And while the Monkees were dogged by reports of squabbling and frequent tensions – Tork was once head-butted by Jones and said he dropped out of a 2001 tour because he had a “meltdown” and “behaved inappropriately” – Tork insisted that they were at their best when they were together. Their musical chemistry was special, he said, even if it was the result of a few producers looking to cast a few handsome men for a television show.